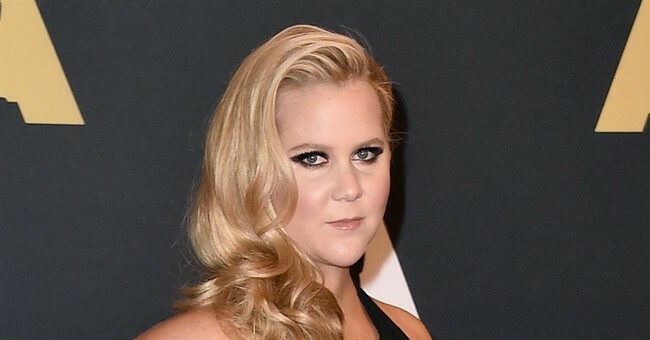 Amy Schumer recently told BBC Newsnight that anyone who doesn't like Hillary Clinton is uninformed. She went on to say that she would move to Spain if Trump was elected. "It's beyond my comprehension if Trump won. It's just too crazy," she said. But Schumer's not alone in her anger. Indeed, she's just the latest in a long string of celebrities who have taken the "brave" stand of saying they'll leave the country if Trump wins. Here's a list of 23 of them. Where would he move? Another planet. "I would consider getting in a rocket and going to another planet, because clearly this planet's gone bonkers," he told reporters. Where would she move? Spain. "I did buy a house in another country just in case, so all of these people that threaten to leave the country and then don't, I will leave the country," she said on Live with Kelly and Michael. Who? House of Cards actress. Where would she move? Canada. "His honesty is terrifying," she told Huffington Post UK. Who? Founder of IAC Interactive. Where would he move? Unspecified. "If Donald Trump doesn't fall, I'll either move out of the country or join the resistance," he told Bloomberg. Where would she move? Vancouver. "I know a lot of people have been threatening to do this, but I really will," she said at the Matrix Awards. Who? Star of Key & Peele. Where would he move? Canada. "It's easy. It's like 10 minutes from Detroit and that's where I'm from," he told TMZ. Who? Actress and guest star in Portlandia. Where would she move? Nova Scotia. She answered simply, "Nova Scotia" to a question of where she would move if Trump were elected. Where would he move? Out of here. "If Donald Trump is the nominee, I'm open to support anyone, while I'm also reserving my ticket out of here if he wins," he said at a press conference. Who? Actress in Orange Is the New Black. Where would she move? A mental hospital. "[I'll move] to a mental hospital for a while because you're like 'why is this happening?'" she said. Where would he move? Africa. "He's good at making money, but he's ignorant...If Trump wins, I'm moving to Africa," he told DJ Vlad. Who? Director of Malcolm X. Where would he move? ...Brooklyn. If Trump wins, he'll be "moving back to the republic of Brooklyn, New York," he reported to Vanity Fair. Where would she move? Unspecified. "I can't even think about it! I'm moving, I'm out! I can't. And I am taking my son with me!" she told US Weekly. Where would he move? South Africa. "He's just running for popularity. C'mon, just let it go," he said on The View. "IF HE WERE TO BE ELECTED, IM MOVING TO JUPITER >:|" she tweeted. Who? Comedian and star of George Lopez. Where would he move? Mexico. "If he wins, he won't have to worry about immigration, we'll all go back," he told TMZ. Where would she move? Australia or Canada. "He has no facts. I don't know, I can't believe it. I'm either coming to your country [Australia], if you'll let me in, or Canada," she told Australian journalist Michael Usher. Who? Actress and host of The View. "My confession for this election is if any Republican gets nominated, I'm going to move to Canada with my entire family. I already have my ticket," she said on The View. Note: Her leaving was contingent on any Republican candidate winning the election--not just Trump. "I don't want it to be America. Maybe it's time for me to move, you know," she said. Where would he move? Italy. "I'll move from Denver to Italy... If Donald Trump wins the presidency, I'm out," he told The Wrap. "My heart is broken into a 100000 pieces...I am moving if this is my president! I don't say things I don't mean!" she wrote in an Instagram post. Where would she move? New Zealand. "I can't imagine what the country would be with Donald Trump as our president... Now it's time for us to move to New Zealand," she told The New York Times. "I will need to learn to speak Spanish because I will move to Spain or somewhere... It's beyond my comprehension if Trump won. It's too crazy," she told BBC Newsnight. Where would she move? America! "If Donald Trump wins the race to the White House I'm moving to America," she tweeted. "Daring to bare what some people really think." By the looks of recent polls, many of these celebrities might have to make good on their promises. It seems like they may have spoken too soon.